Who are you again, son? “Mob towns run very efficiently,” he adds, not really helping. Matthew Odam, whom Phan credits as the Austin restaurant critic who got him first and best, wrote that “thinking about sushi must take up about 90 percent of the chef’s brain.” That’s certainly the impression I got during two long sessions interviewing/hanging out with him, during which I started to contemplate a book called The Sushi Sayings of Otto Phan. Phan has deeply held convictions on the topic, and is good at making them into quotable sayings. He also has high opinions of his skills, to be sure, but I didn’t find him arrogant—I admired that he wants us to want better, and to be the one who brings it to us. OKAY, SO WE NEED BETTER SUSHI. Why should we think Otto Phan is the one to bring it to us? He was born in Houston to immigrant Vietnamese parents. “I was one of those boys that always wanted to go away, but not run away,” he says. 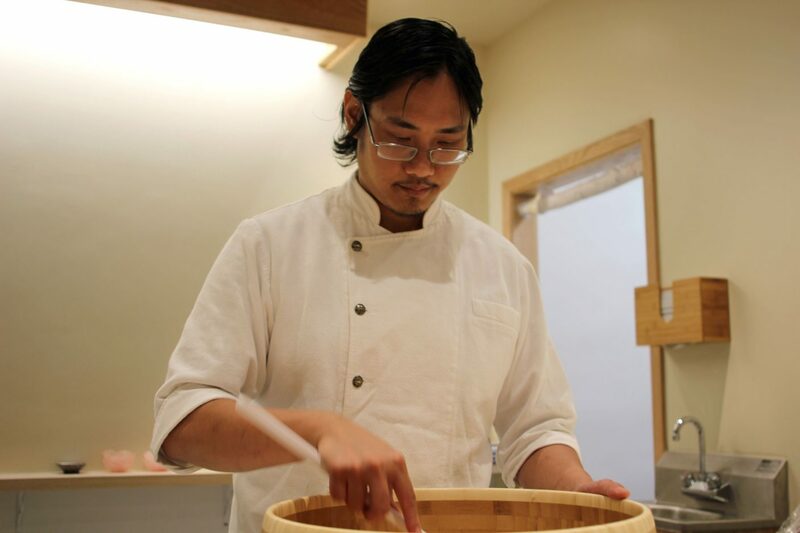 At 18 he went to Austin and started learning the restaurant world, working for Tatsu Aikawa and Takuya Matsumoto, who now have the Ramen Tatsu-Ya chain. By his mid-20s, he had ambitions beyond what Austin could teach him, and so he went to New York to look for a new master. The names he added to his resume were as good as could be had. He teaches you that there’s a dream beyond a dream. Green onions can be cut thinner, somehow, and you need to go find it. The larger grain of Phan's preferred rice, next to the standard size of Tamaki Gold, a popular brand in good sushi restaurants. 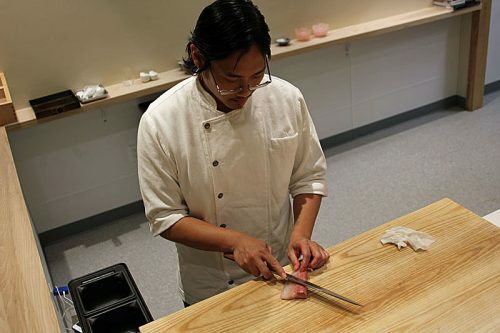 His costs about 2-1/2 times as much per pound, partly because he's the only one he knows of using it in the U.S.
Light and dark red vinegar, akazu, made from a mix of fresh rice and the mash used to make sake. The difference is how the darker one is aged, similar to Balsamic vinegar. Mixing the rice with the vinegar. 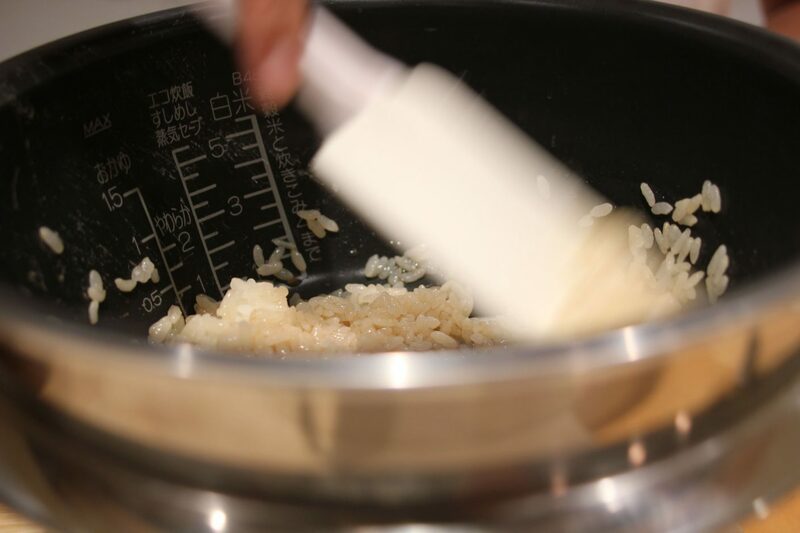 Mixing the lighter vinegar into the rice until it has a "glow"—done as close to service as possible. Mixing the darker vinegar into the rice in the bowl from the rice cooker. Phan says darker rice is always from darker vinegar—"There's always some crazy guy on Yelp saying it's soy sauce, but it never is." 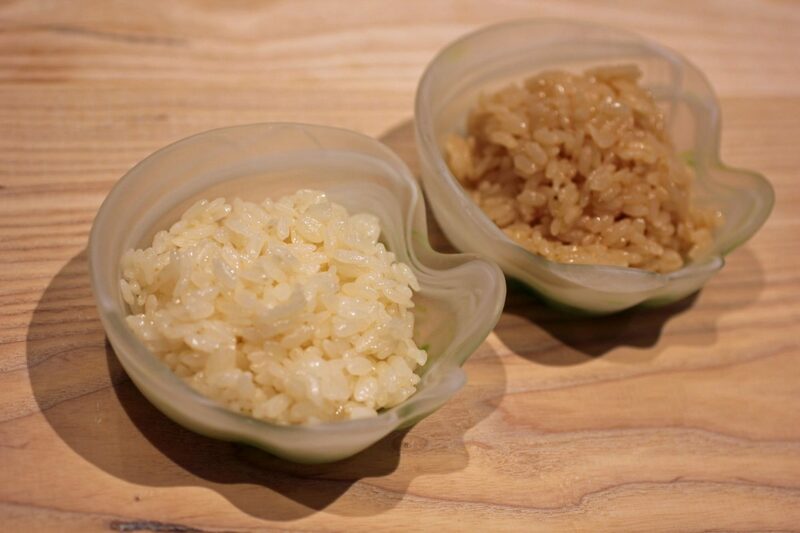 Same rice, different vinegars: the lighter one is for fish like salmon or regular tuna, the darker one for fattier fish (otoro, fatty mackerel) and even Miyazaki beef. 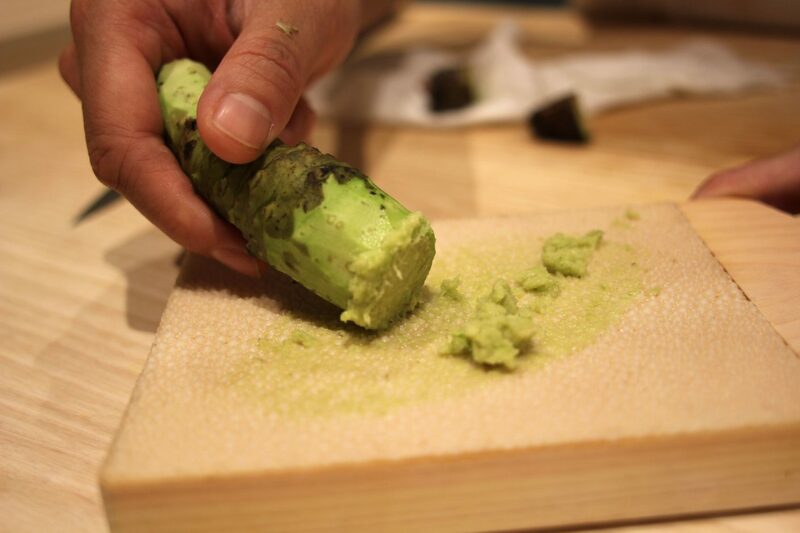 Grating fresh wasabi on a sharkskin board. 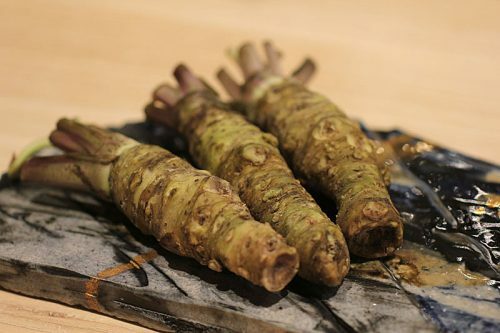 Both ends are used—the top of the plant has more delicate flavor, closer to the root is spicier. The lighter vinegared rice. 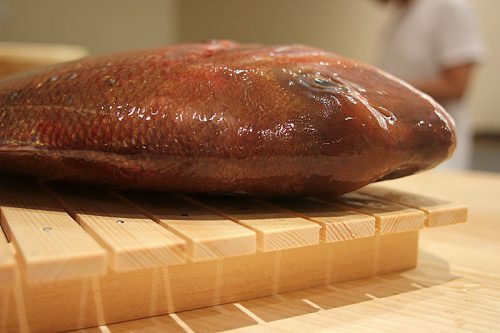 "Often sushi rice tastes of nothing. That's why people dunk sushi in soy sauce. This rice is basically for keeping you from dunking your fish in soy sauce. 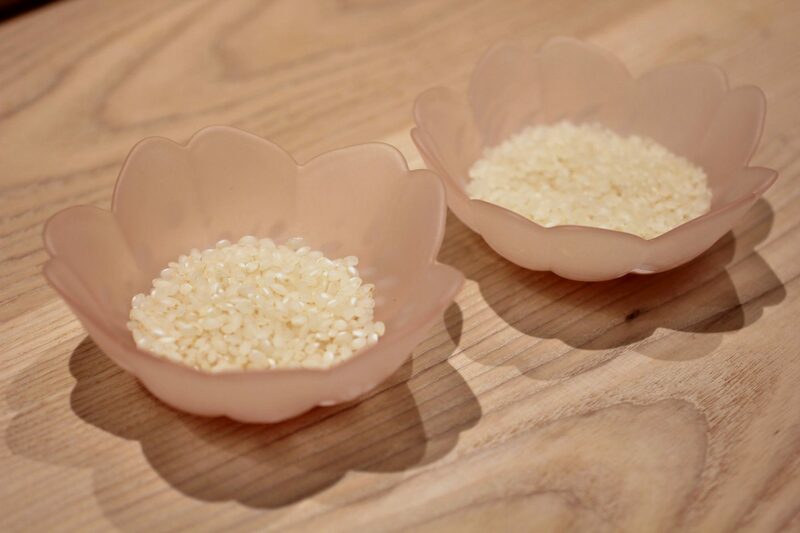 If my rice is like that, and you still need to dunk it in salty soy sauce, you're kinda nuts." 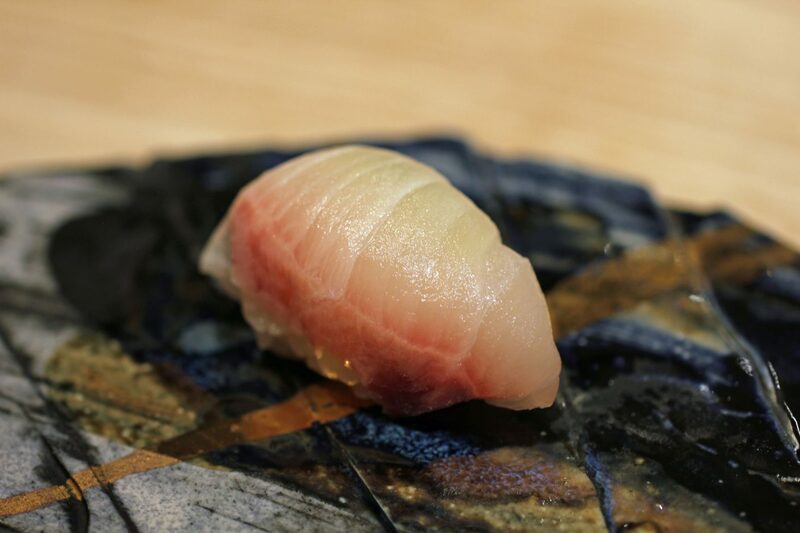 Phan prefers a taller nigiri, and plumps it into the shape he likes. 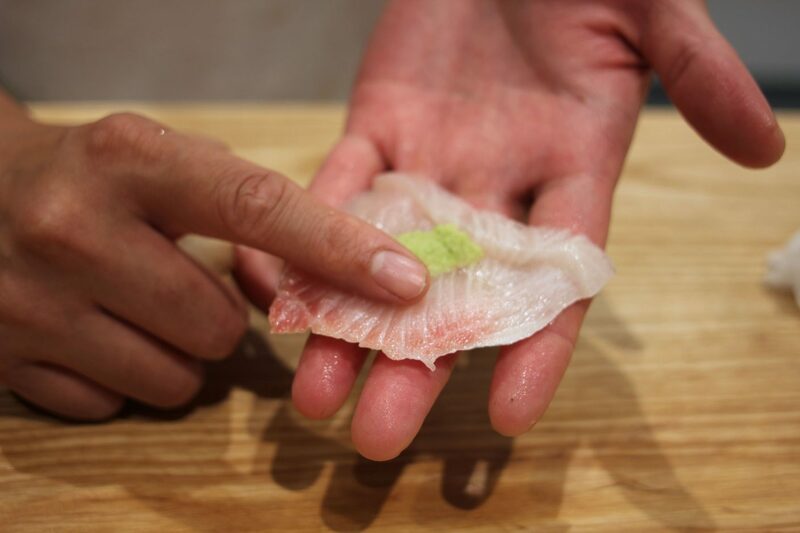 Nigiri on a plate made by an Austin artist—another one Phan says has "young energy." I FINALLY GET TO GO INSIDE THE SPARE, SIMPLE ROOM that is Kyōten on my second time talking with Phan—the first time he locked his keys inside, so we went to the nearest coffee shop to talk. There’s a handsome wooden bar, where seven patrons at a time can sit along two sides, while Phan and his assistant Brandon prepare the food in front of them. And… that’s pretty much it; the decor is on the low end of minimalist. That may seem a bit strange in America, but it looks almost exactly like the setup at my one high-end sushi experience in Tokyo, eight-seat Sushi-Ya (which Phan has also been to). 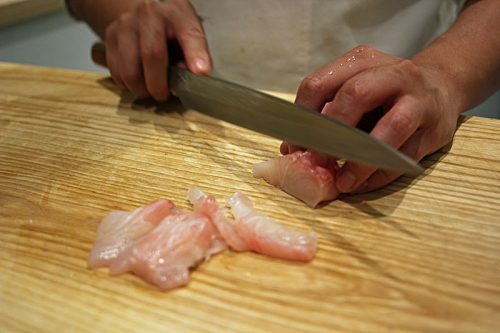 Chef, fish, diners, concentration. That’s what sushi is about. And rice. 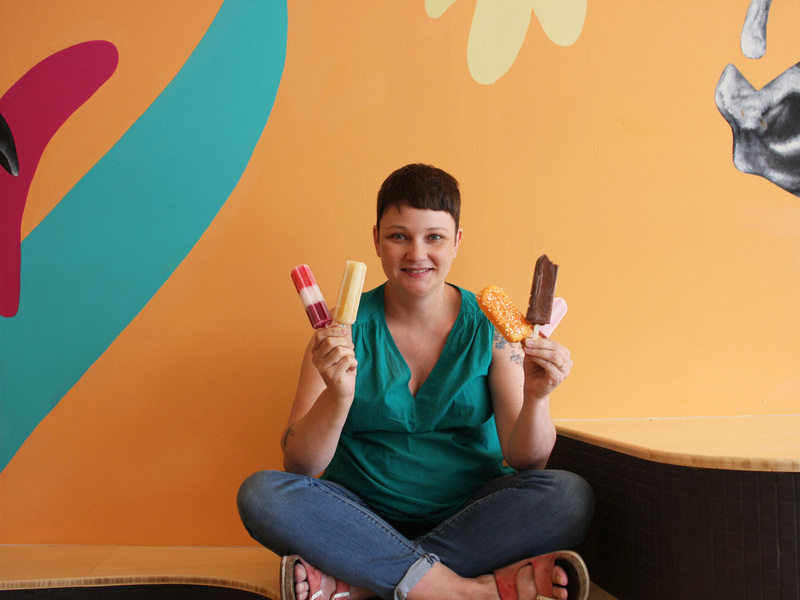 “Rice plays a central role here, it’s basically a rice shop,” he says. 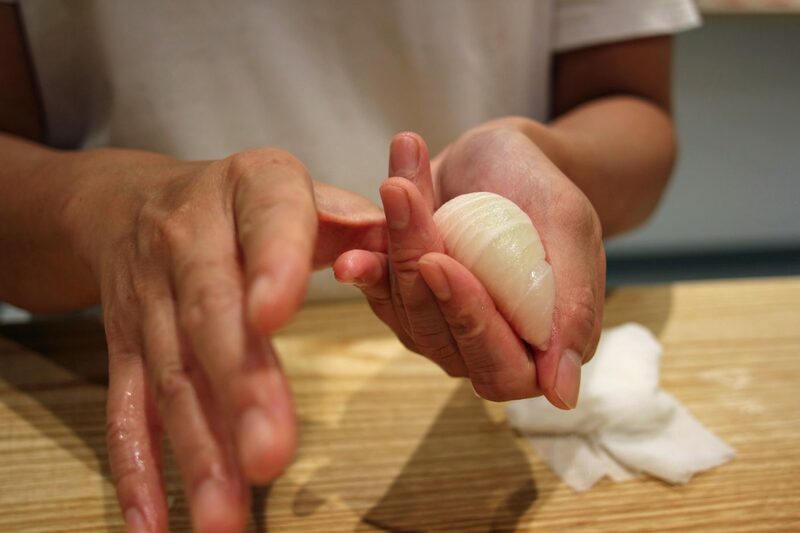 This is one of the rare cases where Phan comes close to spouting a cliché—”the most important part of sushi is the rice” is one of those Zen paradoxes that sushi chefs say to make sushi more mysterious as an art form. Ninety percent of sushi is mental, the other half is physical. He lays out two bowls of dry rice. One is a brand called Tamaki Gold—”This is the rice that you would see in almost any good sushi restaurant in America. 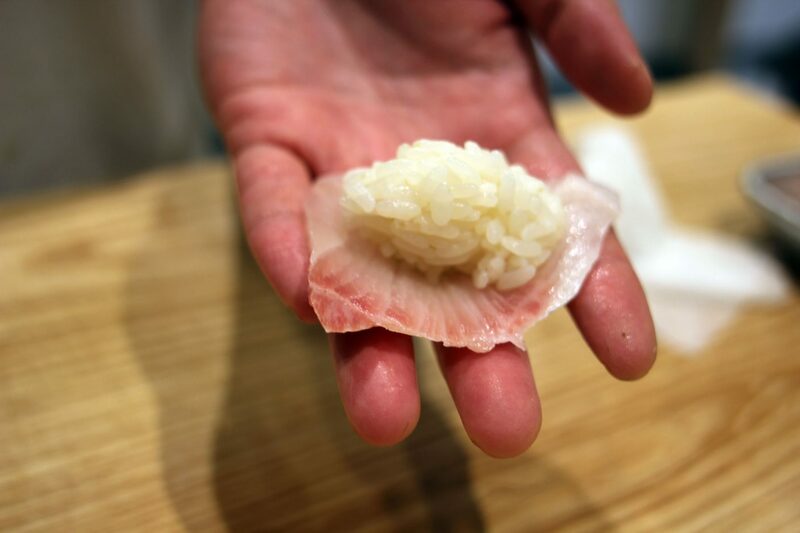 If they’re serving less than this, I feel sorry for them.” It looks like typical sushi rice—stubby little short grains, translucent off-white. Cooked, the secret rice has plumped up like whole-grain oatmeal. Now Phan wants me to taste—tiny tastes, he warns me—the two vinegars he uses. 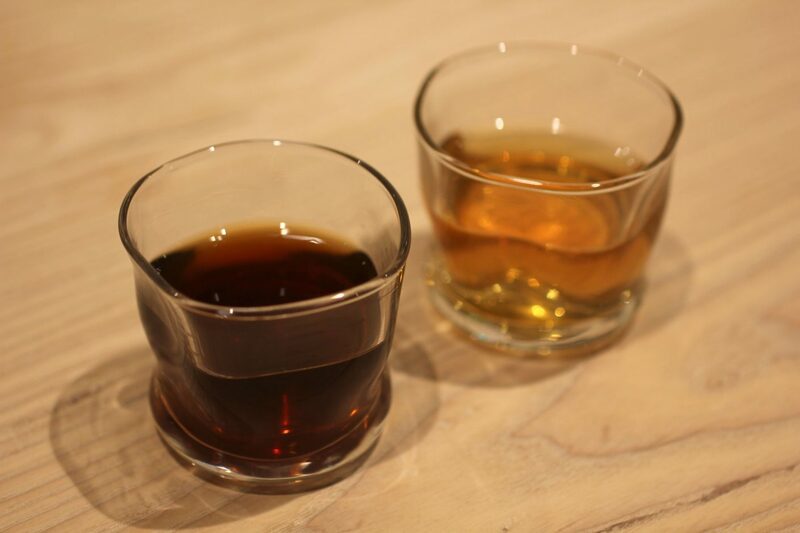 Both are what’s known as red vinegars, made from both rice and the leftover mash from the sake-brewing process. Using the sake by-product started as a cost-saving measure, but Phan likes the rougher, more pungent flavor it imparts. 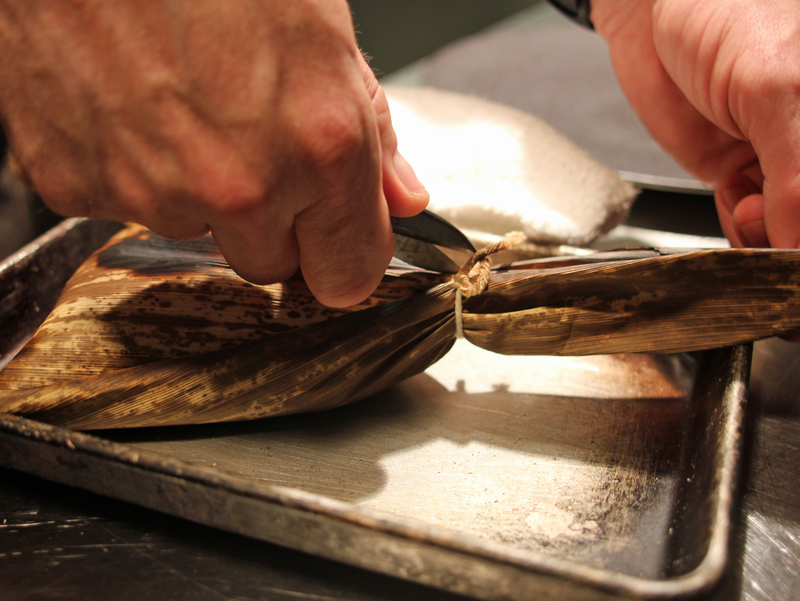 He divides the rice in half and mixes the lighter vinegar into the first portion with a plastic spatula. 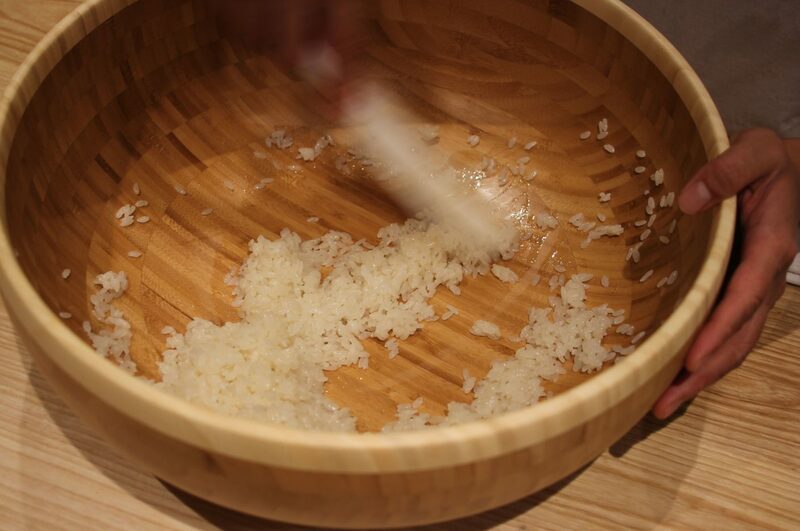 “I shouldn’t show you this, you’re supposed to use a wooden paddle to be authentic, but it’s too rough on this rice,” he says. 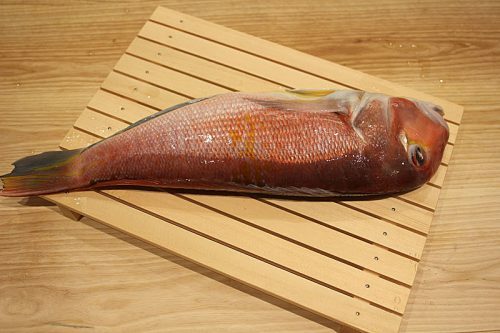 Finally, he’s ready to cut me a piece of nigiri—to photograph, not to eat. He digs out from the cooler a chunk of kampachi that he served Saturday night, but by now is past its peak for top-grade sushi; he and his assistant will eat it later for staff meal. 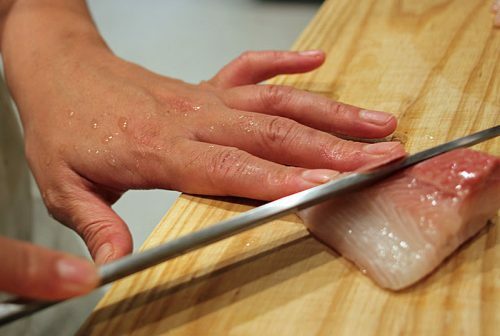 This part seems almost anti-climactic—a few deft slices to get a choice of cuts, a schmear of wasabi grated on sharkskin, a ball of rice, and he forms the piece. He makes his nigiri tall and round, and when I take too long taking its picture, he decides it’s slumped too much, and plumps it up again. Ready for my closeup, Sensei Phan. “I NEVER WANTED MY OWN RESTAURANT, I just wanted to learn. But there comes a point where you become too good [for a job], and once you’re too good, that’s when you open a trailer and you open a restaurant. My progression has been very natural,” Phan says. He picked the name Kyōten because it isn’t really a word, but it kind of meant the edge of the sky—dining under the stars, as you do from a food trailer. It also implied the worldview he had now—”I don’t like to see the ceiling up above me.” Like Masa had taught him, you can always aim higher. 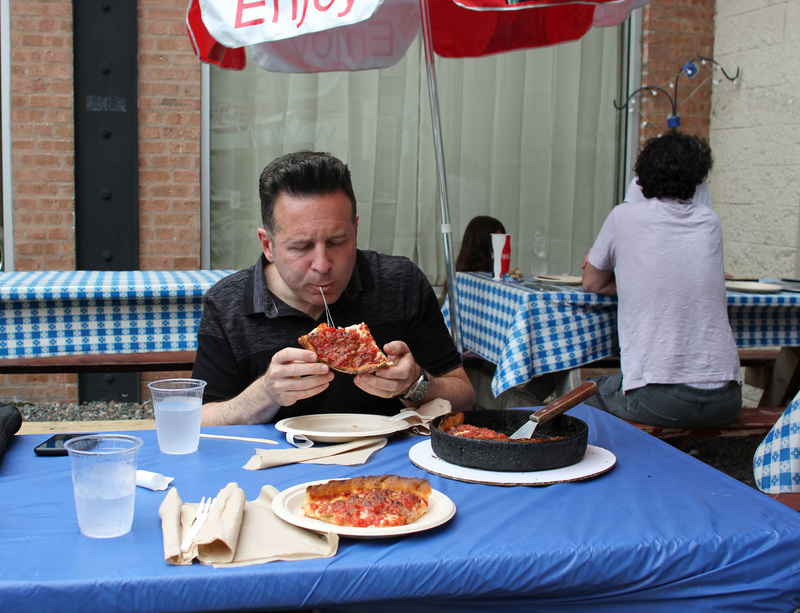 By now, he was experienced as both chef and owner—which, he says, “makes me the luckiest chef in the world”—and he set his eyes on looking for somewhere to make a bigger splash. 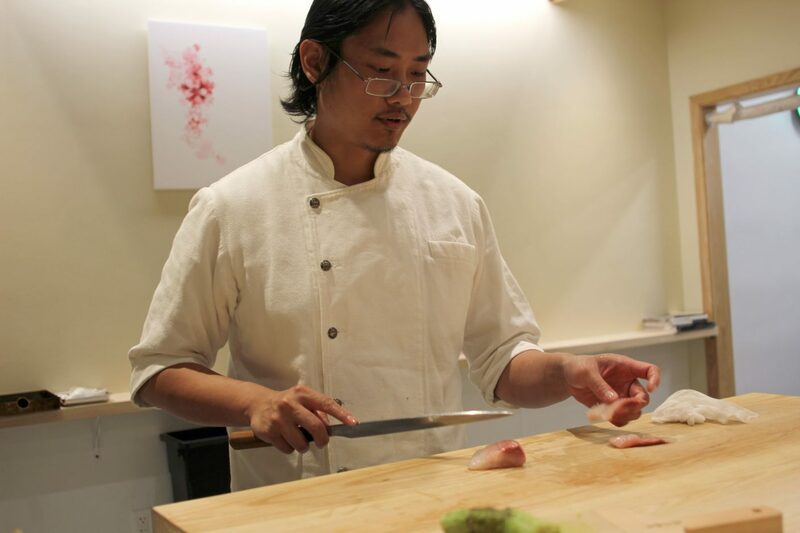 With an audience used to paying more for a tasting menu experience—and what’s the first part of most tasting menus if not, basically, a set of Japanese-influenced seafood courses? 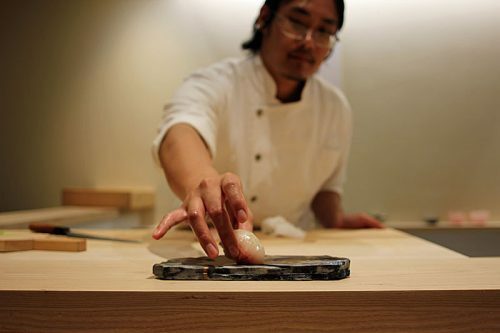 He recognizes that his stated goal of even one star—there’s only one two star sushi restaurant in America, Ginza Onodera in New York, and only Masa has three, so don’t even think about any of that yet—remains ambitious and possibly far off in his future. Even with Michelin’s adjusted expectations for Japanese minimalism, the room will need something to get past being an empty space in an apartment building and become, like Sushi-Ya did, a little temple of sushi contemplation shutting the world out behind you. But you know, why not shoot for it? And as diners, why not be happy that someone is? 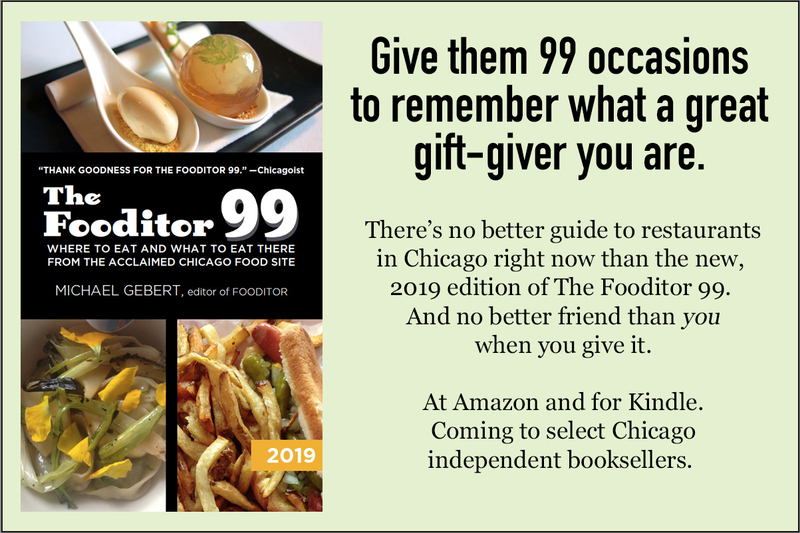 Michael Gebert dreams of sushi as editor of Fooditor.